We are being made more continually aware of the importance of sleep to our health and beauty. Some health experts now rate the importance of sleep above that of diet and exercise for health, and can quote studies to prove it. If you want to maximize your beauty regime, you need to get your beauty sleep! Herbal teas are beneficial in so many ways and they have proven themselves in assisting with getting a sound sleep. Our body completes many healing and regeneration processes while we are sleeping. Unfortunately, we are bombarded with artificial light. This light affects the hormones that regulate our sleep/wake patterns. We are often on our computers or watching TV way past our bed-time and you may have noticed that your quality of sleep has significantly deteriorated. To make a big impact on your health, turn off all screens an hour before your bedtime and indulge yourself with an herbal tea that will help you relax and sleep better. There are numerous herbal teas that are excellent to sip on in the evening which can help you drift off in a peaceful and calm manner. Enjoying a cup or two before bed can help your mind and body unwind. Herbal teas you can make to help you get your much-needed quality sleep. 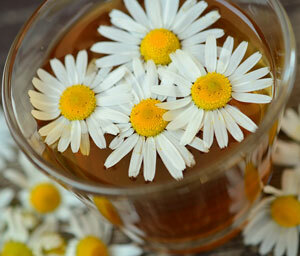 Cup of Tea Dose – 4 to 6 flower heads per each cup of water, allow to steep for 15 minutes, half to 1 cup. 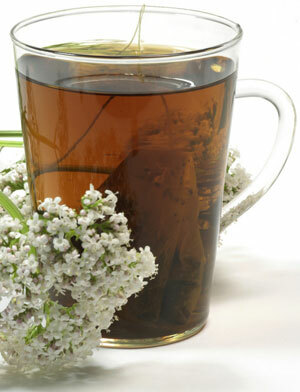 The flowers make a lovely, soothing tea that is great for reducing excitability and irritability in children and adults. It offers a mild tranquillizing and sedative effect making it ideal to take in the evening. It additionally has anti-inflammatory properties and is helpful for skin eruptions and calming rashes due to eczema. You can also try the essential oil under your nose at bedtime or dabbing directly onto blemishes. Cup of Tea Dose – 1-3 grams of tea 3 times a day or make an infusion by steeping 1 teaspoon of herb for 15 minutes and taking half to 1 cup. 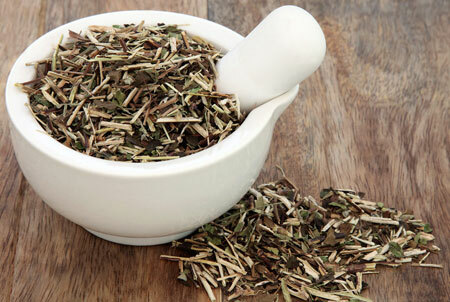 This herb is considered to be one of the least addictive, non-toxic, natural tranquillizers available. It acts as a relaxant to the higher nerve centers and provides sedative, hypnotic and mild pain relieving properties. It is common to add up to a teaspoonful of the tincture to the tea in order to enhance its effects. 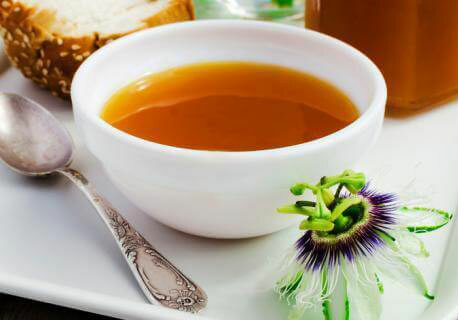 Cup of Tea Dose – ¼ to ½ teaspoon to each cup of boiling water, allow to steep for 15 minutes. Take a half cup in morning and evening and before bed to help with sleeping. This is an excellent tea choice to calm the over-active mind and combat sleeplessness and nervous excitability. Passion Flower is a well-known calming herb and is used in many supplements for providing anxiety relief. 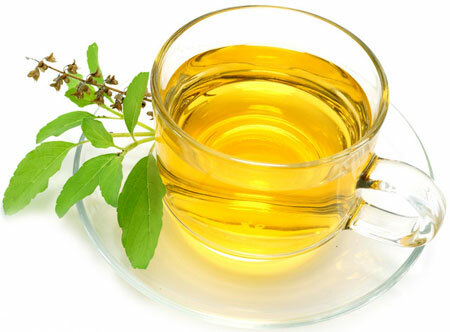 Cup of Tea Dose – 2 teaspoons of fresh herb, 1 teaspoon of dried herb to each cup of boiling water, allow to steep for 10 minutes, 1/3 to 1 cup of tea three times a day. Tea made from the leaves or consumption of fresh leaves provides a rich dose of Vitamins C and A, excellent for radiant skin and clear eyes; important for any beauty routine. It also provides a mild sedative effect and is good for nervous irritability. Avoid during pregnancy. Cup of Tea Dose – Half to 1 cup to each cup of boiling water. Drink half to 1 cup, up to 3 times a day. This is a widely used herb to help with nervous exhaustion due to workaholic tendencies and is helpful during times of grief. Often used during convalescence from a long illness, exercising too much or to help initiate relaxation after studying for too many late nights. 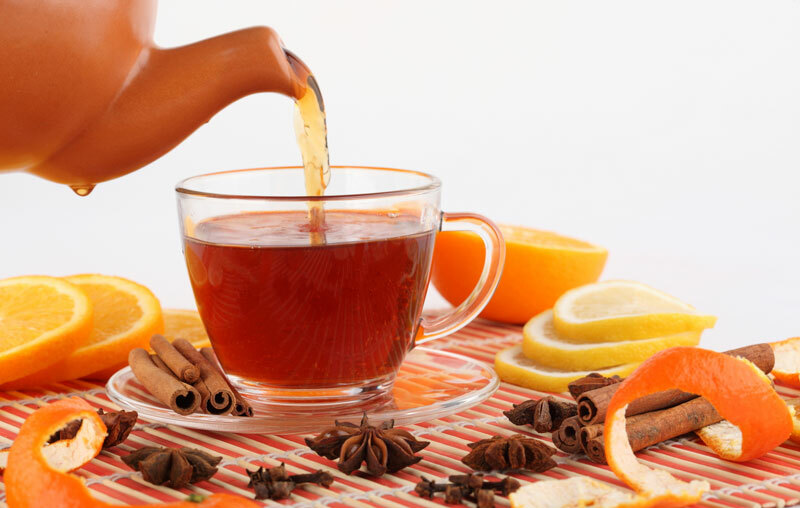 Cup of Tea Dose – 1 teaspoon to each cup of water, allow to steep for 15 minutes. Half cup taken up to 3 times a day. Not suitable for those with depression. 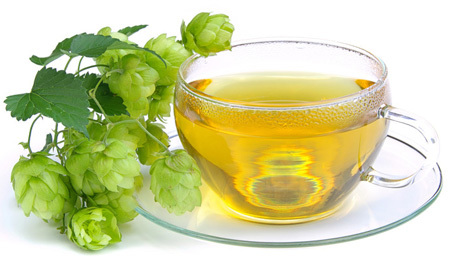 Hops can be a wonderful, spreading vine in the garden. You can make a pillow or sachet out of the dried herb and sleep with it at bedtime.